BATON ROUGE – A trio of judicial reform bills aimed at increasing transparency in the state’s judiciary were stopped in the House Judiciary Committee on Thursday, including a bill that was that would have required judges and judicial candidates to post personal financial disclosure statements online. HB 294, sponsored by Rep. Stuart Bishop (R-Lafayette), focuses on the personal income, assets and liabilities of judges and judicial candidates. It would require judges and those running for judgeships to provide easy public access to the same kind of in-depth financial information that is currently required of every other elected office in the state. 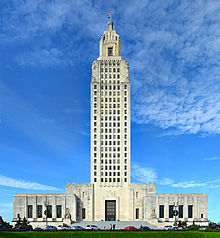 The bill’s major backer was the Louisiana Association of Business and Industry (LABI). In Thursday’s hearing on the bill, Camille Conaway, vice president of Policy and Research for LABI, spoke in front of the House Judiciary Committee saying that while financial disclosures are currently provided to the Louisiana State Supreme Court, those records are not easily obtained by citizens. “We believe that requiring a formal public records request to the court in New Orleans is overly onerous,” she said. Conway said the legislation would improve the perception of Louisiana’s legal environment by making the financial disclosures more readily accessible to the public at large. “It is important to do everything we can to be as transparent as possible,” she said. Seemingly in support of the bill Rep. John Morris (R-Monroe) said the financial disclosures are important. “If I were looking for conflicts I would be looking at gifts, contracts, and leases and income from sources that are extra-judicial. If a judge is making money on the side, receiving gifts, or being taken out to dinner time and time again, thereby receiving gifts, don’t you think that is important for the public to know?” he said. However, there were several opponents to HB 294. Most notably Louisiana Supreme Court Chief Justice Bernette J. Johnson expressed concerns that placing financial disclosure records online would put judges in danger by revealing their home addresses to parties who they have ruled against. Johnson also said in order for the bill’s requirements to be implemented they would have to employ further personnel and ask the state for increased operating funds. Supreme Court Justice Greg G. Guidry agreed with Johnson adding that the Supreme Court’s current rules make judicial financial disclosures easily accessible by simply sending an email or written request to the court. However, he added that if that information was available anonymously via the Internet it could endanger judges. “I would not want to look a district court judge in the face if something happened to them and tell them there was no reason we had to do this,” he said. Guidry added that the bill, which would involve the legislative branch of government imposing restrictions on the judicial branch, would run counter to constitutionally provided separation of powers. “Fundamental in this is the separation of powers and that cannot be glossed over,” he said. Bishop concluded the lengthy debate on the bill by requesting a vote on the proposed legislation be deferred until the concerns of opponents could be addressed in a reworked version of the bill. Melissa Landry, executive director of legal watchdog group Louisiana Lawsuit Abuse Watch, described the inaction of the committee toward the proposed legislation as concerning. HB 294 was only the first judicial reform bill of the day to suffer defeat. Also deferred was HB 293, sponsored by Rep. Taylor Barras (R-New Iberia), which would establish a online database wherein taxpayers could easily search for and view judicial contracts. Currently, such contracts are not publicly displayed and have to be accessed through time consuming and potentially costly public records requests. Lastly, the committee voted 9-8 against HB 698, sponsored by Rep. Neil Abramson (D-New Orleans), that would have required for the first time that courts statewide prepare annual financial reports, including employee positions, expenditures and revenues, to be submitted to an oversight body.